Applications for the 2019 Cosford Food Festival are flying in with a record number of local producers applying to attend the two day event. This year, over 100 local producers of the finest artisan produce and locally brewed beverages will be exhibiting at the annual festival, held in the unique setting at the Royal Air Force Museum Cosford and it’s not too late to be involved! Now in its seventh year, the festival is firmly established as one of the biggest events on the Museum’s calendar attracting in excess of 12,000 visitors over the two days. This year’s festival will take place on 20-21 July and whilst there may be over six months to go, organisers are already busy preparing to serve up another great event and are delighted with the response from local businesses wanting to be part of it. Popular favourites on the food festival scene along with exciting new local producers are all applying to come on-board for this year’s festival. 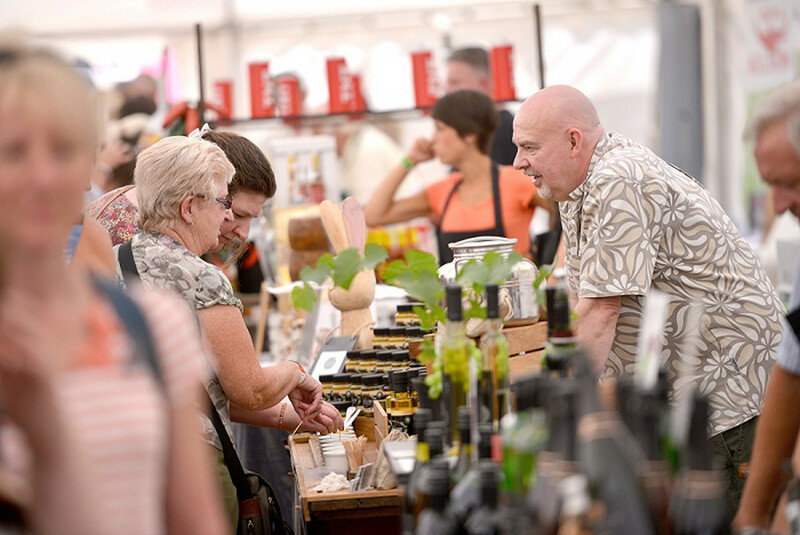 Organisers have increased the number of pitches this year to give foodies even more choice, ensuring the Cosford Food Festival delivers a wide range of stalls, a tasty menu of street food, washed down with a wide variety of local beers, ciders, spirits and fizz! Plus, there will be plenty of entertainment over the festival weekend including cooking demonstrations, live music and family activities all adding to the festival atmosphere. The closing date for exhibitor applications is Thursday 31 January, so with just two weeks to go, any local food and drink producers and street food vendors wishing to be part of this year’s festival should head to the Museum’s website to complete the online application form. Event organisers are confident the festival will not only appeal to food lovers but also families who are looking for an enjoyable day out.